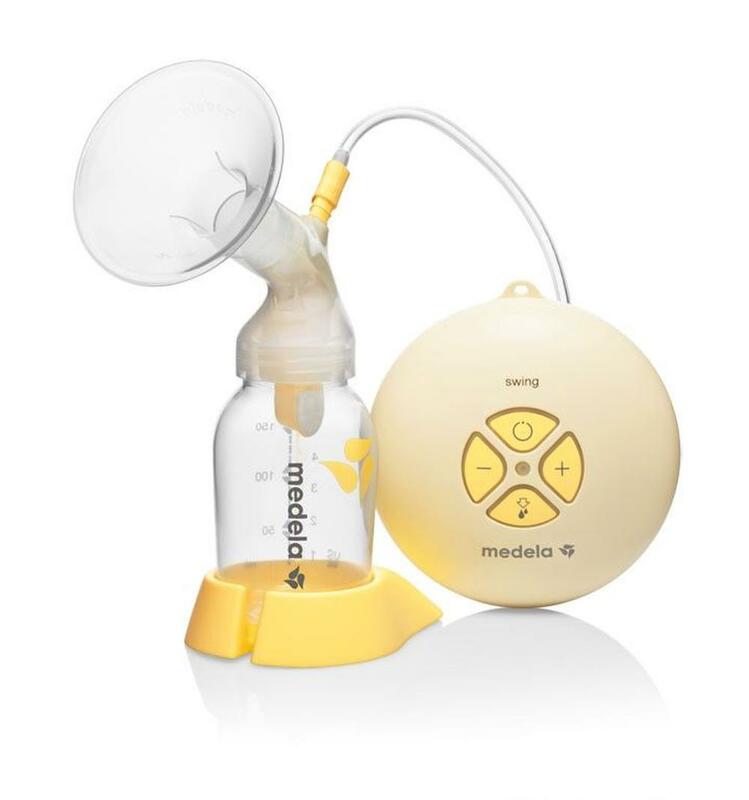 The Swing Single breast pump is Medela's smallest and lightest 2-Phase pump. Set the Swing on a tabletop, attach it to your pocket or belt with the clip or hang it from the neck/shoulder strap for the most convenient and comfortable position for you. Bought this as already had Medela parts from hiring a Symphony pump prior to this. It is lightweight and portable, and very easy to use, which is a plus - however I got the occasional electric shock-like jolt while using this, and I also need to keep an eye on this the whole time while pumping as milk has gone up the tubing more than once. This did not happen with the Symphony pump. On the whole I would not recommend this particular variation of the Medela pump. Very easy to use, quick and efficient. Would recommend.